Many of us make a lot of assumptions. For example, we think tomatoes are vegetables but in reality, they’re a fruit. We might also assume electric cars are a relatively new invention. It only makes sense, right? Electric cars were designed to end our dependence on oil by providing a clean, sustainable, environmentally-friendly alternative. Believe it or not, however, that assumption isn’t true, either! The first electric vehicle was actually invented between 1832 and 1839 by Scottish inventor Robert Anderson. Granted, it was more of a crude electrical carriage than a car, but the idea was there. So before you assume you know everything about electric cars, let’s take a closer look at them. Here are a couple of important things you should know about electric cars–especially if you’re trying to figure out whether they’re right for you! Let’s start with some of the advantages. Save money: Electric cars are generally much cheaper to refuel and maintain than conventional cars. No inconvenience: Contrary to popular belief, you won’t really have to “adjust” to an electric car. They drive just like normal cars. You get in, put the key in the ignition and turn it on. You shift into Drive, push on the accelerator and go. Environmentally-friendly: Electric cars create considerably less pollution than gasoline-powered cars. Fast: Most electric cars can go from 0-to-60 in about 15 seconds. Convenient: With a greater demand for electric cars, there are now over 17,500 charging stations across the country. Various websites and Apps are available to help you find one close to you. Incentives: There are several incentives available that make buying an electric vehicle even more attractive and cost-efficient. These include federal, state, and local tax incentives, HOV lane access, and reduced insurance costs. You can also save with parking, home charging station, and utility incentives. Fast charging: While most batteries take a long time to recharge, some newer electric car models can fully-charge in 15-30 minutes. Later model batteries also last longer and aren’t as expensive. Plenty to choose from: Manufacturers are now building more vehicle types than ever before. You can choose from compacts to full-size sedans to SUVs. Those are some pretty impressive advantages, but we’d be remiss not to mention electric car’s disadvantages, as well. Expensive: While they are becoming more affordable, electric cars can still be very cost-prohibitive. Quiet… maybe too quiet: Electric cars are very quiet. So quiet, in fact, that people may not know you’re approaching and step in front of you. Don’t pshaw, it’s actually happened. They’re heavy (a typical lead-acid battery pack weighs 1,000 pounds or more). They’re bulky (a car may use 50 lead-acid batteries that are 6″ x 8″ x 6″). They may have low capacities. Most batteries only hold enough electricity for the car to go 50 miles or so before recharging. (Newer batteries have increased that to 250, however). They tend to take a while to charge. It takes between four to 10 hours to fully charge most batteries but as you read earlier, new technology is decreasing the time it takes to do that. The batteries may not last long. Most only last 3-4 years and are expensive to replace–up to $2,000 for the battery parts. Not entirely environmentally-friendly: Electric car batteries aren’t quite the 100% “clean and green” solution many think they are. Some of the parts are made of toxic metals that will, eventually, pose some disposal problems. It’s also not necessarily environmentally-friendly to produce the electricity required to recharge the batteries. Obviously, there are good reasons to invest in electric cars, and some good reasons not to as well. Ultimately, it’s a decision you’ll have to make for yourself. If you can’t make up your mind either way, there’s also a third option: a hybrid. As their name implies, hybrid cars use both gasoline and electricity. Think of them as sticking your toe into the “electric car” waters to see if you want to dive in. If you have any more questions about electric cars–or anything else electrical–feel free to give the experts at EarlyBird a call any time. 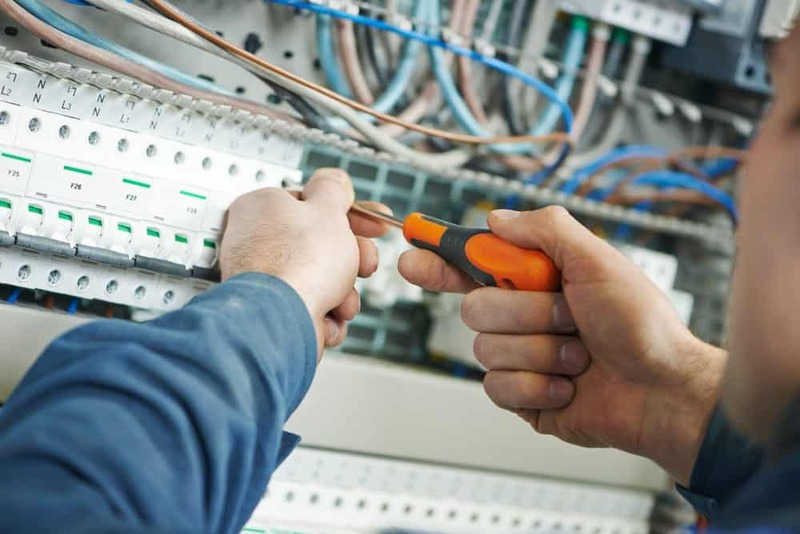 We can answer your electrical questions and solve your electrical problems while we’re at it. It’s what we do.